At the root of humanity is love. It can be said that is the driving force that moves people to shape the world and move it forward for every generation and mankind. 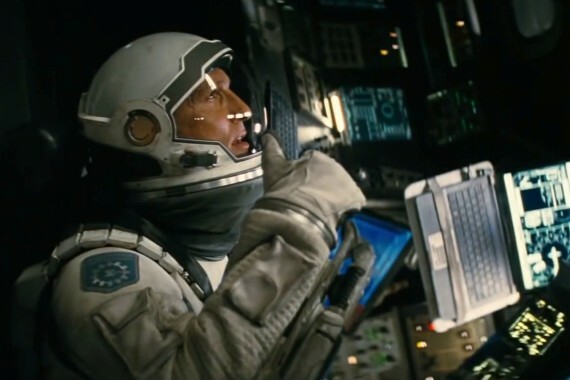 In Christopher Nolan’s Interstellar, he once again gives audiences a mind-bending film that weaves in both themes of the nature of humanity and science fiction, all while toying with the idea of the possibility of a new Earth. 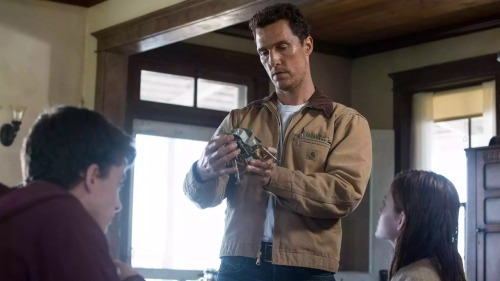 The story is about an ex-NASA pilot Cooper (Matthew McConaughey) who has returned to his roots as a farmer, trying to grow corn which is imperative to helping the sustenance of human beings. He is a widowed man and a father to two young pre-teens Murph (Mackenzie Foy) and Tom (Timothee Chalamet). Together they live with his father in law Donald (John Lithgow), who is aging and cannot do as much work on the farm as others. The world at this time is running out of food and has become dry, arid and unsustainable to grow practically anything and that is why it is so important for him to farm corn, which scientists believe can help save the world from food shortages. Not only does the future look bleak for mankind, but it is also engulfed in daily dust storms, which only further harms the health of human beings. The time is almost reminiscent of the post-WWI era in which dust bowls dominated the United States and caused droughts and famine. Cooper regardless of living a life as a farmer, has remained thirsty for scientific knowledge and discovery, it can almost be felt that he is unhappy with this life and yearns for something more. When he happens upon his old NASA associate, Professor Brand (Michael Caine), he is propositioned when he least expects it and is asked to lead a mission. Cooper asks how they could have chosen him when they didn’t even know where he was, but Professor Brand insists he is the right one for the mission. He is told that in order for humankind to survive because the plight of the world is much worse than they have been lead to believe, he must leave for three years to search for another world. This will require going through black holes and worm holes in the world, which leaves a lot of problems because with every move they make time in the galaxy differs from time on Earth. If you are a scientist who studies horology (this was literally a Jeopardy question the other night, I kid you not) or an astrophysicist, then you will totally have no problem understanding the concepts that are put out by the film in regards to time lapses, the relevance of time with gravity and how this affects time in different planes of the galaxy. If not, then this approach that Nolan has chosen will be confusing. Murph does not want her father to take on the mission, she feels things that cannot be understood, she is beyond smart, and in fact she is probably a version of Nolan himself, someone who is always thinking, feeling and seeing things that are not known to the average person. Cooper takes on the mission and goes off into space with biologist Amelia Brand (Anne Hathaway), physicist Romilly (David Gyasi), geographer Doyle (Wes Bentley) and the robots TARS and CASE. What happens in space and the way they come to many realizations about Earth, the galaxies and space travel is equally interesting as it is mystifying. As Cooper is gone, we find out what is happening down on Earth through the characters of his children who are now grown up, since so much time has passed in space. Murph, both young and her older version (Jessica Chastain) are the most fun to watch on screen. Murph is rebellious in nature and tenacious to the end and she adds that bit of spark that is missing from many of the characters. 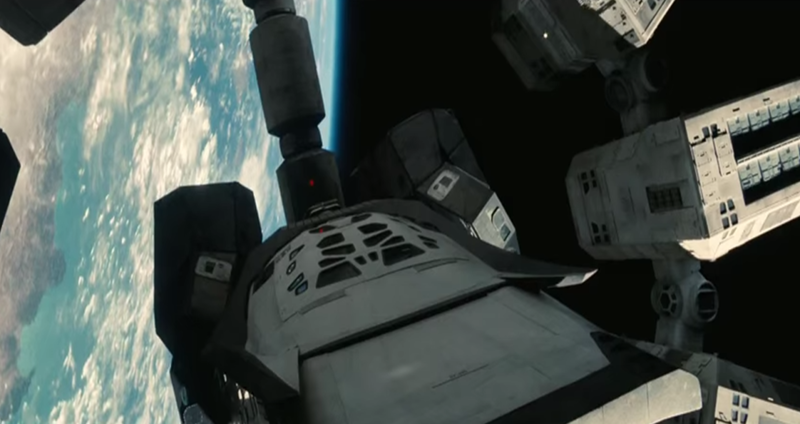 To behold a film of this level and to able to capture space travel is a difficult feat, Alonso Cuaron did it beautifully with Gravity and Nolan also delivers a film that is breathtakingly gorgeous. Filmed partly with IMAX cameras and film, this only adds to creating images that are both engrossing and detailed, which can be seen when they step onto other planets. The visual effects are equally creative and work well with creating a film that never looks cheap or as if it is all completely fake. 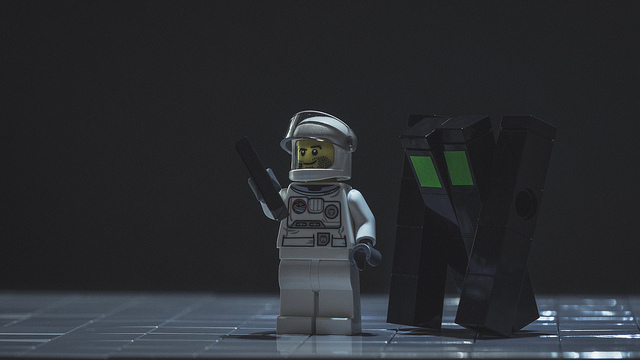 A few months ago, I saw the French Canadian film Project M, which is very similar in breaching the themes of space travel and saving human kind and the world. Project M was a low budget film, but it was fun to watch and interesting and done in less than 2 hours. 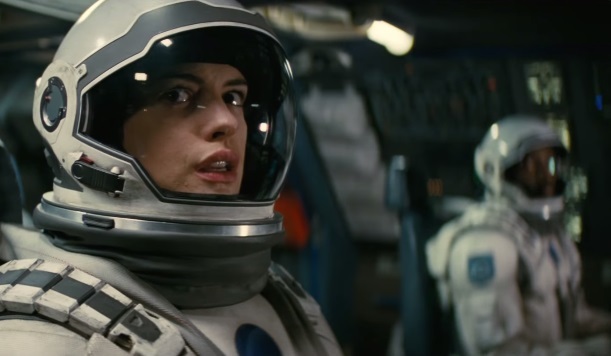 Interstellar tackles a difficult topic and takes forever and a day to explain it. I felt like a lot was missing from the story, I wanted to know more about what happened with Earth to create this famine and more of what was going on with other planets. I liked the idea of utilizing the theme of love to people to create new beginnings and to save the world. I think it was a major topic of the film and would have liked to have seen it go even deeper, specifically with the character of Amelia and even with adult Murph. What tripped me up with film, is the story, it just went way to deep, into a point that was difficult to understand. For a lover of Nolan films and someone who understands these movies, I get it to a certain level, but to the average movie goer, this movie could turn into a snooze fest. Literally, I looked over and my husband was feeling sleepy during the film. I found myself even getting a bit bored and hoping the conclusion would soon come fast. Many parts of the film, even felt like fluff or filler. I believe the pacing of the film is partially to blame and had it sped up a bit and some parts been cut out that would have made it better. My fave characters had to be Murph as a child, she was interesting and sweet in comparison to others and TARS the robot, was quirky and funny and his interactions with Cooper gave the film a sense of lightness with a topic so dark and brooding. 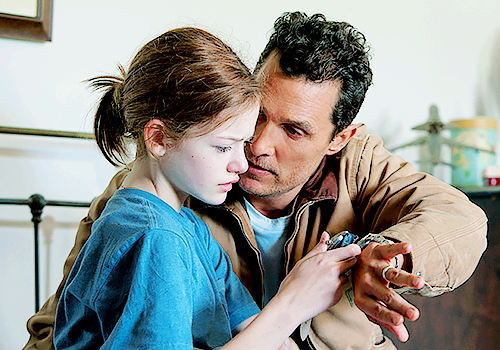 McConaughey did a great job in the film, he pretty much carried it and he conveyed emotion and strength perfectly. Caine did a great job as the professor and outshined many of the others. Everyone else was good, I mean can you say that Chastain and Hawthaway are not great actresses? Nope they always deliver, I just felt that they didn’t really pop on screen like they usually do. The star of the film had to be Foy who played the young Murph, she stood tall against heavyweight actors and I am sure she will be one to watch in the future. Overall, I thought this movie was beautifully done, creative in every aspect, but the story felt as if it had many holes in it. Now were they immense black holes, not really, but these missing pieces of the puzzle gave us a film that didn’t feel succinct and as great as one would have hoped. Great review, Melissa! I agree that the pacing was stop and go, but for me it ended up going by pretty quick. I thought the end of the second act was the end of the movie but nope, there were still another 40-ish minutes left. I love how great the visuals were. Easily one of the best looking films of the year! 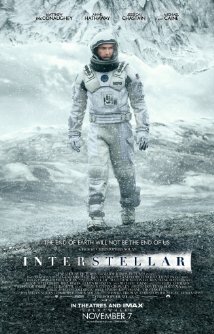 After The Prestige, this may be my favorite Nolan film. Love how it is so grandiose, but really simple at the end of the day. And that score, wow! Agree with you though, easily 30 minutes at least could have been lopped off, and Mackenzie Foy turns in the best work here after McC. That early bond was crucial and Foy and McConaughey had it. Awesome review Melissa. Thanks MMJ! Hope you had a nice holiday. Yes the score and just the grandiose nature of it is what I enjoyed. Hopefully Foy will get some recognition or at least some more roles, right?! She certainly needs more roles! Superb job. I agree I wanted more information, seriously like you gave us so much superfluous info on physics and science, that most people cannot understand, instead give us more info on the characters, on older Murph, I would have liked to have seen more of that. Thanks Vern! Great work Melissa. I totally get your point on the overbearing science of it all, and even its desire to go crazily deep at times, but I absolutely loved Interstellar. One of those that just worked for me! Thanks! It sounds like a lot of people are split on this one, I keep hearing differing comments. Glad you liked it though. LOL. 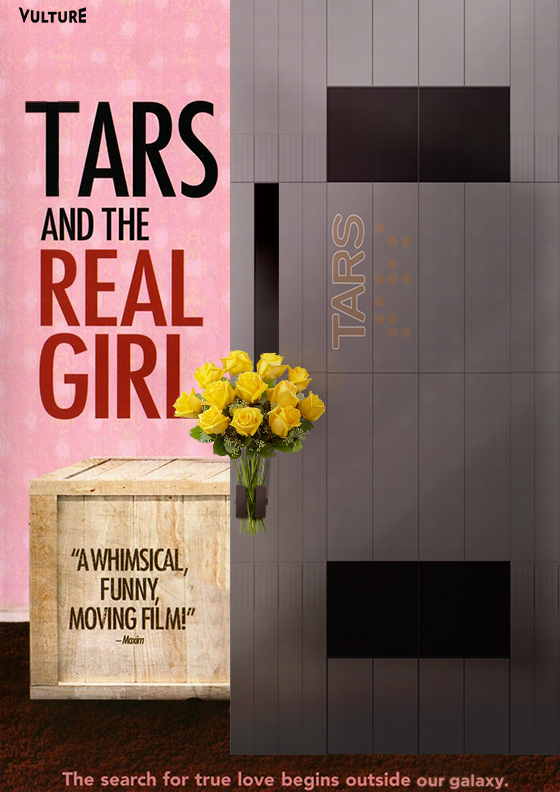 Those TARS pics are perfection. I can always count on you and your pics/gifs for a giggle, Melissa! 🙂 Anyway, sorry to hear you didn’t completely love this one…but I thought it was fantastic. A little out there and reaching a little with some stuff, but still fantastic. Although admittedly not my favorite Nolan film. Nice work, lady, and a very merry post-Christmas to you!!! Great review. I liked Interstellar but it just didn’t 100% work for me. You pretty much summed up my sentiments, I didn’t hate, but I didn’t love LOVE it like I thought I would. Nice review, Melissa. 🙂 Yay – you didn’t, like, loooooooove this. I think I like it less & less every day. 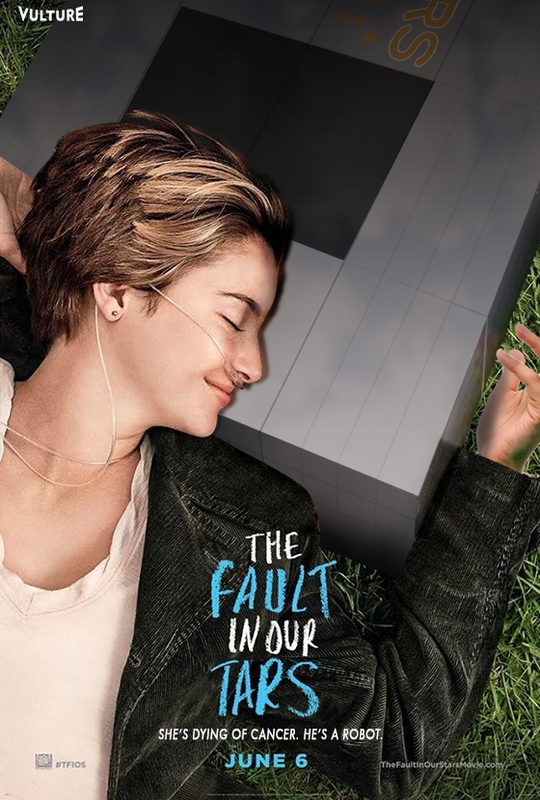 Yeah… Screw this movie! Totally didn’t live up to the hype. Baller!! I still want to see this but in the comfort of my living room where I can drink beer all night and go pee when I need to! Oh yes dude you need bathroom breaks for this one! You might like it, I am curious to hear your thoughts on this one. I’ll sure give it a shot when it comes out on VOD! Great work here lady! 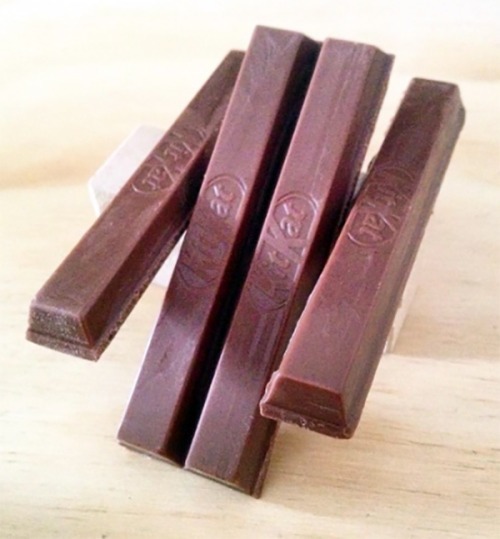 Loving the TARS pics by the end there. Sorry to say it didn’t totally float your boat for you. Gotta say that myself and my other half had an absolute blast with this one when we went. There were flaws and all, but every movie has them. We had fun and found it engaging. I love Nolan to bits and pieces hahaha. I had such high hopes for it. I didn’t think it was bad, just didn’t totally love LOVE it. I know you are Nolan-ite and glad he lived up to your standards. That’s great! Great review, Melissa! Haha, love th pics! No prob check it out, it’s an interesting movie especially if you enjoyed Interstellar. Hey hey, glad you reviewed this one and we agree there are too many plot holes to keep this from being a masterpiece for me, but it does have its moments. I too like Murph, esp when she’s younger, Mackenzie Foy has some emotional scenes w/ Matthew (darn I forgot to put her in my Honorable Mention in my Top Female Performances list). I like Nolan’s work but I feel that this one is perhaps a bit over-hyped. In fact I still find his Batman trilogy much more spectacular than this one, but I do admire his ambition and he’s still one of the most innovative filmmakers today. I agree it was the plot holes that really drove this down. Foy was really good, I hope we will see her in more roles soon. And yes Nolan is a phenomenal filmmaker, he pushes the envelope with his imagination and yes it doesn’t always completely work. I also find the Batman movies better than this and Interstellar was so over-hyped that everyone went into this with high expectations. Also I think we all had high hopes for McConaughey seeing that he had a tremendous year and he was good in this, but not omg great like he was in True Detective and Dallas Buyers Club.